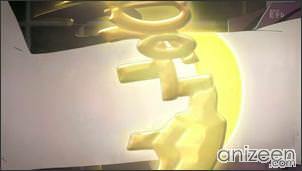 Kaito Daimon is a teenager who loves to solve puzzles. One night he finds himself in the middle of a dangerous ordeal, and somehow, he is able to leave without injuries. 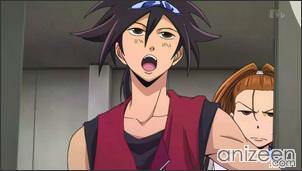 The next morning, everyone at Root Gakuen High School thinks Kaito was the teenager mentioned in the news. Something strange happened and a portion of a near mountain collapsed. Kaito tries to identify what happened last night and understands that this strange puzzle had no solution. The news run fast and the school principal knows that Kaito was involved in that incident, still, he takes no action to punish him. 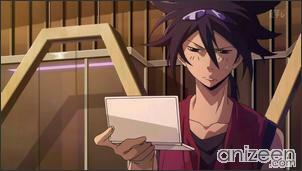 The day before, Kaito received an interesting gadget filled with puzzles. Souji Jikugawa, the president of the Puzzle Club, gave it to Kaito, in order to find out if he can obtain something he couldn’t before. Kaito is mad and can’t understand how important this puzzle is. Of course, Souji tells him he can quit anytime he wants; no one is forcing Kaito to solve the puzzle. Suddenly, Kaito receives a message, he has been invited to challenge the Sage Puzzle, if he does it, he can fulfill Orpheus’ Contract. 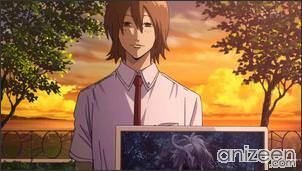 The reward is something precious, Phi Brain, will allow Kaito to use his brain as never before..
That night, Kaito and Nonoha Itou, one of Kaito’s childhood friends, go to the labyrinth. 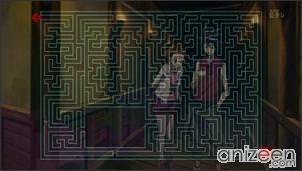 Kaito thinks he has to solve this on his own, but Nonoha won’t let him go alone. As they see the map they must follow, Nanoha rushes and runs. They are able to escape some traps and thanks to Nanoha’s photographic memory they find their way. 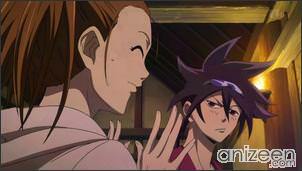 Now, Kaito has to fulfill the contract and obtain Phi Brain. 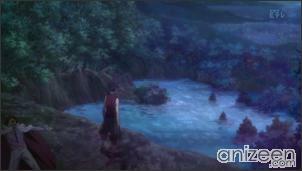 As fast as that, he is told to use his new power to save himself and his friend from a hideous death. Given the title of Einstein, Kaito battles against a mysterious group in order to keep a promise he made as a kid while at the same time he heads towards the ultimate test: the Divine Puzzle. Kaito Daimon is a high school freshman who enjoys solving puzzles, feeling insulted whenever they are used for hurting others as his parents were killed while attempting to solve a deadly puzzle. He carries the Solver title, ‘Einstein’. One day, he discovers the Orpheus bangle which attaches itself to his arm. Under high levels of stress, he enters a strange state that allows him to use his brain to its fullest potential and see the solution for any puzzle. 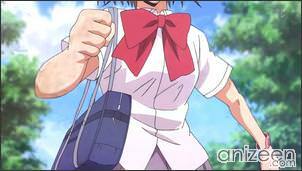 Nonoha Itou is Kaito’s childhood friend, who always accompanies him when he goes to solve puzzles. She possesses great strengths, excelling at sports, and has a photographic memory, though she is not too good with actual puzzles. She often makes sweets that almost everyone finds delicious but Kaito is incredibly fearful of. After helping some kindergarten kids during a puzzle, she ends up with the title ‘Nightingale’. Gammon Sakanoue is a Solver with the title, ‘Galileo’. He solves puzzle for money purposes and is often trying to get ahead of Kaito in order to claim the purported treasures offered by the POG. He appears to have a crush on Nonoha. 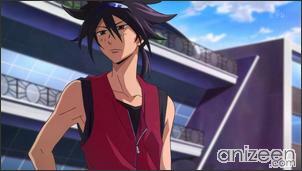 Gammon holds a very competitive rivalry to Kaito. Cubic Galois is a young boy with the title of ‘Edison’, who is often inventing various robotics. He is often more fascinated by mathematics as opposed to puzzles, though takes interest in Kaito after witnessing his Phi-Brain in action. 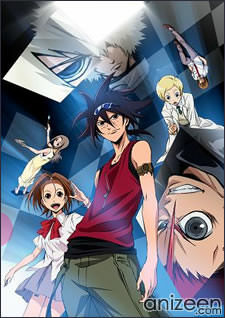 Phi Brain Kami no Puzzle (ファイ・ブレイン 神のパズル) is an anime series produced by Sunrise which began airing on NHK-Educational on October 2, 2011. 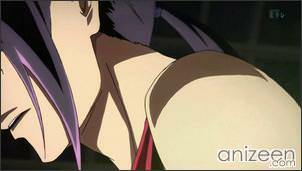 The series is directed by Junichi Sato with script supervision by Mayori Sekijima. Hajime Yatate, the collective penname for the creative staff at Sunrise, is credited with the original story.